The CCMRD Pavilion needed extra shading for those late summer evening concerts. 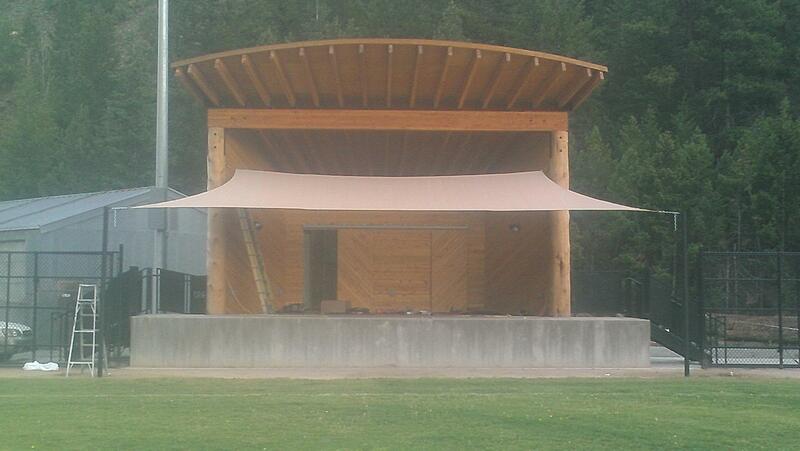 Wheelock Construction installed this beautiful sun shade to protect the musicians and their instruments. Can’t wait to see pictures from this year’s Rapidgrass… It’s happening RIGHT NOW ~ July 5th-6th!